Every time I analyze my competition, I uncover great opportunities…and so can you! Traffic – understanding where they get their traffic from. Monetization – what their revenue sources are. SEO – search engine rankings and linkbuilding activities. Marketing approaches – branding, positioning, email subscriptions and more. Differentiation opportunities – how your website can provide a unique experience. The role of competitive analysis can vary during the lifecycle of your business. When I am in the beginning stages of a new niche site, I look at my competition for differentiation opportunities and traffic sources. For example, in one of my more successful niche sites I noticed that the competition’s websites were very thin on content and hard to navigate. I differentiated my site by providing much more detailed/in-depth content that was easy to find and use. On another of my niche sites that had been operating for a while, I uncovered a new revenue source (worth about $3,000 per month) by seeing that one of my competitors was using it. Choose 2-3 competitors from who you consider to be your main knowledge. If you know your niche, these will be top of mind. Choose 2-3 competitors who appear at the top of organic and paid search results for your top search phrases. Sites that are in different, but related industries. For example, if you have a site focused on cat lovers, it would make sense to identify some good sites focused on dog lovers. Overall, you should be looking to identify 5-10 competitors that you want to analyze. Key: Keep an open mind on who you consider your competition to be. Since you are looking for opportunities, you want to make sure that you include websites that are doing innovative things – whether or not they are direct competitors or not. First impressions – does the site look and feel professional or amateurish? How do they position themselves – when you glance at their homepage for a few seconds do you know who they are, what they do, and how they are different? What does their Title Tag say? This is the title that is displayed in the browser tab – it should tell you how they position themselves and/or what key search phrases they are targeting. What actions are they emphasizing on their home page? Is there anything unique in how they are organizing their site? Do they have comments enabled on their site? If so: How active are the comments? What commenting system are they using? Are they replying to comments? Are the conversations meaningful? What methods are they using to monetize their site (e.g., advertising, affiliates, etc.)? For advertising: What ad networks are they using? How many ads per page are they utilizing? Any unique ad placements? For affiliates: What affiliates are they using? How are they promoting them? How are they tracking affiliate clicks? How are they disclosing that they use affiliates? Do they offer any products for sale? Are the products their own or third party? What are the price points? What social media networks (e.g., Facebook, Twitter, Pinterest, Google+, Instagram, Youtube, LinkedIn…) do they feature on their home page? Do they display their subscriber/follower/fan counts? How much do they “push” their social media? Do they offer an email subscription sign up form? Do they offer any “offers” to entice you to subscribe? How do they promote their list (how many forms, where they are located, are their pop-up forms, etc.)? Who do they use to manage their email list (getresponse, aweber, mailchimp…)? How often are they adding new content? What’s the average length of their content? What’s the quality of their content? Is it useful? Does it have typos or poor grammar? What actions are they trying to get you to do? Look at both the home page and on individual posts/articles/pages. How does their site look on a mobile device? Do they have a mobile specific site, responsive design or something else? Any functionality missing from their mobile site? Key: For each website, identify a differentiation opportunity and an opportunity (what you could try for your own website). The next step is to use third party tools to analyze your competition. 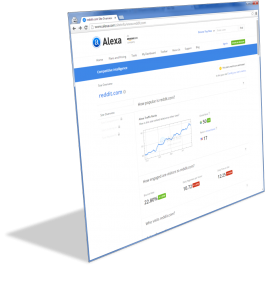 Description: Alexa provides a free overview of a website, including: traffic ranks, bounce rates, pageviews, and time on site. Also includes summaries of: audience demographics, geographical distribution, traffic sources, keywords, related sites, popular pages and more. Bottom Line: Alexa is a well recognized provider of visitor and traffic data. Provides a good (high-level) overview of traffic volume, demographics, and traffic sources. Description: Free version provides a general overview of traffic volume for last 12 months. 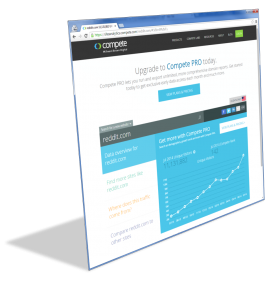 Compete PRO provides more comprehensive domain reports. Bottom Line: The free Compete reports have become watered down over the last year or so. There are much better free tools available. 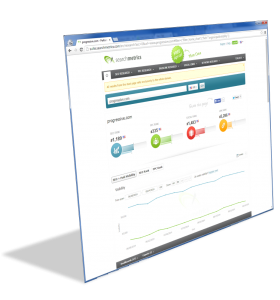 Description: Focuses on real-time advertising and audience measurement and reporting. Bottom Line: Does a good job of presenting traffic and demographic data. Sites that are “directly measured” have much more complete data. 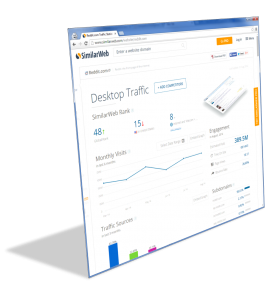 Description: SimilarWeb provides a comprehensive overview of traffic activity, engagement, traffic sources, advertising, and similar sites. Bottom Line: My favorite free general analysis tool. Provides good insights into traffic sources and activity. 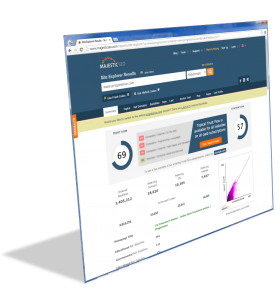 Description: Provides measurement and reporting on search marketing strategy, keywords, ad copy, PPC budget, SEO keywords, rankings and more. 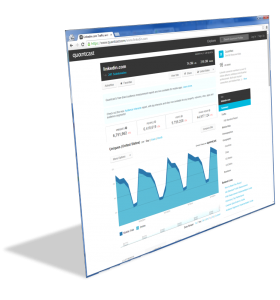 Bottom Line: Free version provides relevant info on ads, keywords, and competitiion. PPC keywords display CPC, Google volume and average position. Keyword volumes and rankings are also displayed for organic keywords. 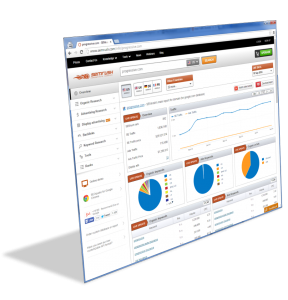 Description: Semrush provides a strong overview of both organic and paid search traffic. 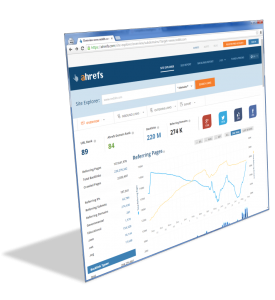 Bottom Line: Excellent free tool to view competitors’ advertising activity, including: ads, spend, target keywords, positions and more. Description: SpyFu gives insights into PPC, SEO, Backlinks, and Ranking History. Bottom Line: Free version gives good (but limited) insights into Ad spend, paid and organic keywords, most profitable ads, ad competitors, inbound links, ranking history and more. Description: Offers a site explorer and backlink checker. Maintains their own index (“trillions of website connections”). Also offers a SEO Report with more information. SEO Report provides information on content, titles, meta descriptions/keywords, H1/H2 tags etc. Bottom Line: Excellent for backlink analysis. Free portion provides good overview of domain’s backlinks. Description: Comprehensive backlink analysis on domains. Maintains their own database of links. Bottom Line: Detailed information on backlinks. 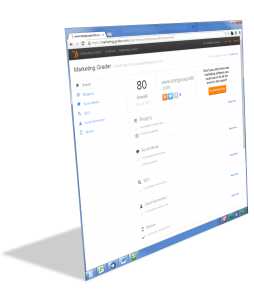 Includes link profiles, referring domains, anchor text distribution, and more. 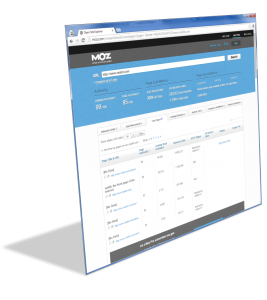 Description: Moz’s Open Site Explorer provides a detailed backlink analysis for both domains or specific pages. Provides a comprehensive list of links, anchor text distribution, top pages and more. 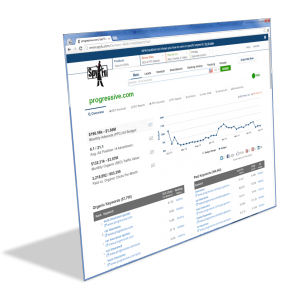 Bottom Line: This is my preferred tool for back link analysis. I subscribe to MOZ PRO because I get a full version of Open Site Explorer as well as other tools to measure traffic, search engine performance, authority and social interactions for my campaigns. Description: Free report gives you an overall score based on 6 categories: Blogging, Social Media, SEO, Lead Generation, Mobile. Bottom Line: Provides a good overall view of key components that your site should have. Not much depth to the insights though. Description: Suite of tools covering SEO, social media, content and PPC campaigns. 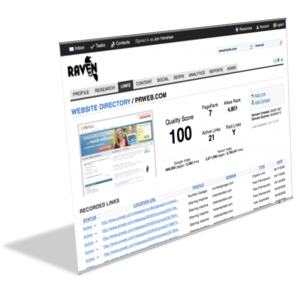 Bottom Line: Although Raven has rounded out their suite of tools with social media and PPC – it is still primarily an SEO toolset. 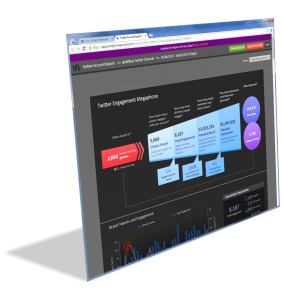 Description: Enterprise level suite of tools for analyzing SEO, content, social media and PR. Bottom Line: Targeted at enterprise level clients. Free reports cover SEO (rankings, competitors), PPC (keywords, ads, competitors), Backlinks (profile, anchor texts), Social Links (social visibility and spread), and Keywords (discovery and rankings). Description: View history of websites. Bottom Line: Allows you to see when a website was created as well as how it looked throughout its life. Description: Allows you to research domain ownership. 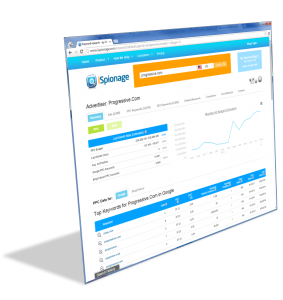 Displays ownership info, IP address history, rank, traffic, SEO and more. Bottom Line: Useful for understanding domain ownership. Also allows you to discover other domains associated with the owner. Description: Simply Measured’s social media analytics provide insights into Facebook, Twitter, Instagram, YouTube and more. Bottom Line: Free tools access require a follow on Twitter but give a nice indepth view of Twitter, Facebook, Google+ and more. Access free tools on top menu. How Do You Do Competitive Analysis? Thanks for providing this wonderful list for checking and analyzing the SEO factors. I have already used some of the website like Ahrefs, Alexa and Semrush. These are really wonderful tools to check your backlinks and other factors. There is one more similar tool (Monitor backlink)which provided good details and information related to backlinks and keyword ranking. Thanks Dev, I haven’t used MonitorBacklinks.com … I’ll give it a look to see what it has to offer. Do you thing that moz open site explorer gives correct and updated over view? i have doubt about it i took its premium account but not satisfied. I’m not sure that any of the backlink tools, by themselves, provide a completely accurate over view. 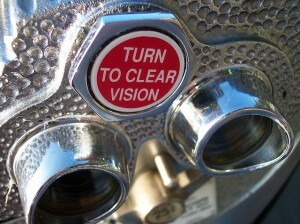 I use them together to gain a better view of my backlink profile.